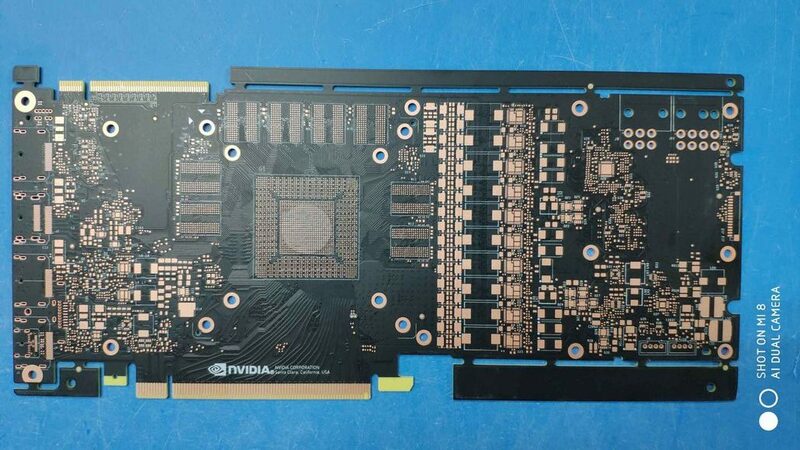 The latest NVIDIA GeForce GTX 1180 PCB shots have leaked out, giving us a hint at what the green team has been working on for so long. 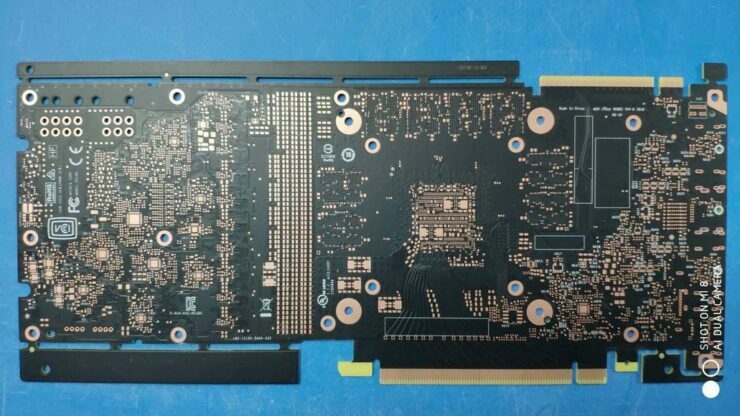 This is the second NVIDIA Next-Gen PCB to leak out within a span of two months, with the first one being more tiered towards the enthusiast market while this version is made for the high-end gaming market. It’s surprising that we have seen two PCB leaks now but haven’t had a good look at the GPU itself which will be powering these boards. 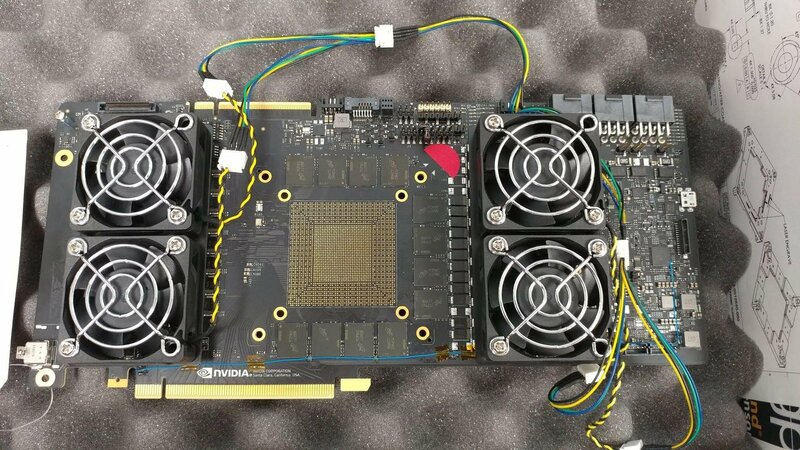 Nevertheless, the PCB is indeed made for the upcoming GTX 1180 graphics card which is expected to be announced at Gamescom 2018 as revealed by NVIDIA in their official announcement which you can check out here. 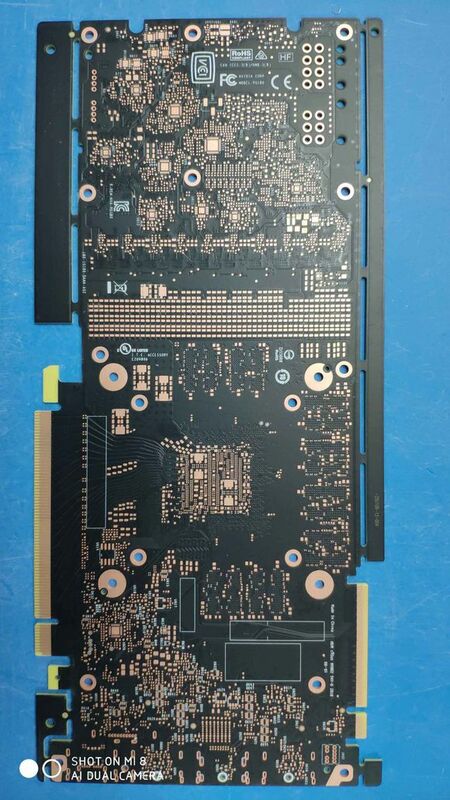 About the PCB itself, it looks like this version is a more tamed down version of the one we saw before which was built for a much higher end GPU. This, if going by the rumors, should be using the NVIDIA GV104 graphics processor which we have heard about and listed in device IDs that leaked a while ago. The PCB makes use of a total of 8 memory dies which are scattered around the GPU core. NVIDIA can use 8 GB or 16 GB of GDDR6 memory on this board, but that depends on whether the higher capacity GDDR6 dies are in good supply or not. As for the memory interface, we are looking at a 256-bit bus interface which goes with NVIDIA’s high-end graphics configuration. The enthusiast ones are fitted with a 384-bit bus interface like the one we saw in the previous leak. That model was outfitted with GDDR6 memory and provided us with our first look at a GDDR6 equipped PCB. As for the power delivery, the card has connections for an 8 and a 6 pin power connector. We know that the reference NVIDIA GeForce GTX 1080 PCB has connections for dual 8 pin power ports but only requires one so that may also be the case with this card. The card also comes with 10 phases but NVIDIA is known to not use all of them and house the rest in future variants. 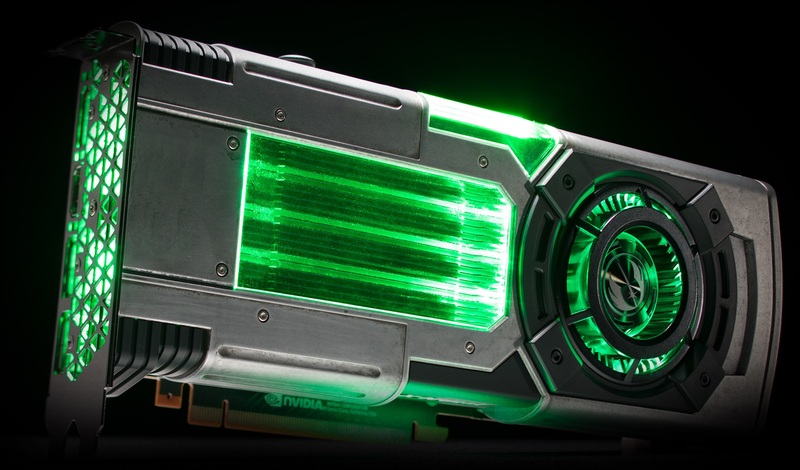 But since they are there, we know what’s the max potential of these boards for next-generation GPUs. In terms of I/O, we can spot at least four display connections, the last one is smaller than the rest and may hint us at the ‘VirtualLink’ USB Type-C connector which is expected on the next-gen cards. There’s also a new SLI Goldfinger which looks a lot like the NVLINK connector but with only a single port so maybe we are going to get some updates on multi-GPU functionality with the next-gen parts too. With the launch now approaching soon, we are finally going to get more details on the upcoming graphics cards. Graphics card partners of NVIDIA are already developing custom solutions for the new cards so we will be expecting them around the launch too. Which NVIDIA GeForce RTX 20 series graphics card are you looking forward to the most?